The monographed book, Déjà Vu: Glossary and Library, consists of two separate but clearly very related components: a Glossary of terms and a Library of references. 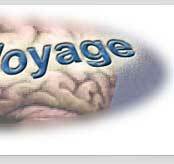 The Déjà Vu Glossary is a list of over 360 terms, over thirty-four pages relating to Déjà vu and the orbit of related psychological, psychiatric, neurological, phenomenological, parapsychological and literary concepts. The scientific study of Déjà vu impacts all these disciplines. Each term is given a capsule definition, precise enough for the scientist, yet comprehensible to the intelligent lay reader. This glossary represents the fruit of years of research and preparation for two companion volumes which I have recently published on that fascinating phenomenon of Déjà vu: Déjà Vu Revisited1‚Äîa new rewrite of what is regarded by other experts as the classic in the field, The Psychology of Déjà Vu: Have I Been Here Before?2 published in 1983; and Déjà Vu: A Second Look,3 a compendium of the past quarter century of scientific research on Déjà vu along with new analyses of the present state and future prospects for a science of Déjà vu. Whereas the books Déjà Vu Revisited1 and Déjà Vu: A Second Look3 are easily searchable in their PDF formats and can be printed, for copyright reasons they cannot be cut or pasted. This PDF version of the Déjà Vu: Glossary and Library allows flexibility because, within the frameworks of appropriate consents relating to published material, and using the appropriate Adobe Reader or other software, the reader may be able to copy and paste glossary entries and references, and amplify their book with notes. 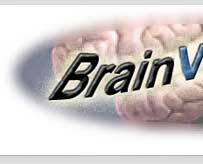 Please E-Mail Library comments to library@brainvoyage.com and Glossary comments to glossary@brainvoyage.com. 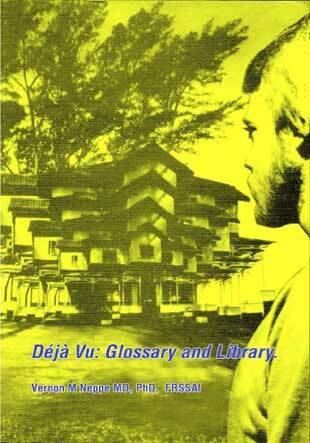 The second part of this book Déjà Vu: Glossary and Library consists of the Library, which is as relevant for serious scholars on Déjà vu as the glossary is. If you were to do a search over the Internet, you would locate tens of thousands of articles, URLs, newspaper reports and blogged comments on Déjà vu. You would even locate nightclubs or perfumes. But very few of these searches will genuinely reflect the Déjà vu phenomenon. Even more problematic is the difficulty of locating real Déjà vu by searching with the appropriate French accents. This book addresses the concern in both the library and glossary sections. The Déjà Vu Library also represents the fruit of many years of research and preparation for my two companion volumes on that strange and fascinating phenomenon of Déjà vu: Déjà Vu Revisited1 and Déjà Vu: A Second Look,3 . These volumes allow for appreciation of the present and future state of research and interpretation of the Déjà vu phenomenon. This Library contributes a certain historicity. At about seventy pages in length, the Déjà Vu Library is a formidable collection of scholarly and literary references used in both Déjà Vu Revisited1 and Déjà Vu: A Second Look,3 as well as in the literature at large. As such, the citations embody most of the key and core articles and books on a variety of subjects of the past century and longer impacting a multitude of medical, psychological, neurological, phenomenological, parapsychological and literary disciplines, as well as many classic studies that go back a good century or more, to that interesting period during the birth of modern psychology and brain science, the late 19th century. This electronic book (E-Book) is effectively a compendium of nearly eight hundred references, not only including those that were used as endnotes in Déjà Vu Revisited1 and its companion volume Déjà Vu: A Second Look3‚Äîbut also including many related articles and books that readers may find of interest in their broader pursuit of learning about Déjà vu.